Jeffrey Hutchings, a Dalhousie University fisheries scientist, and Kevin Stringer, an assistant deputy minister with the Department of Fisheries and Oceans, share their views on accusations that the Canadian government is forcing international scientific collaborators to sign agreements that potentially muzzle them. 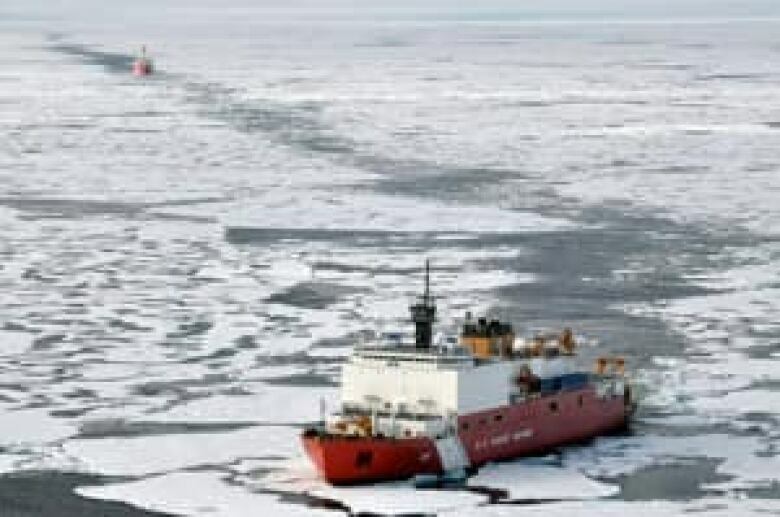 Andreas Muenchow, a physical oceanographer at the University of Delaware, collaborates with Canadian government scientists on Arctic research. On his blog last week, he posted his concerns about the new language in a research agreement that the Canadian government is asking him to sign. "I believe this is a disturbing political climate change," Muenchow wrote. "I feel that it threatens my academic freedom and potentially muzzles my ability to publish data and interpretation and talk timely on science issues of potential public interest without government interference." Muenchow posted excerpts from the agreement that stated: "Any technology, data, or other information of any kind related to or arising from the project (collectively "information") shall be deemed confidential and neither party may release any such Information to others in any way whatsoever without the prior written authorization of the other party." He pointed out that it was substantially different from a 2003 Canadian government agreement that said, "Subject to the 'Access to Information and Privacy Acts', project data and any other project-related information shall be freely available to all parties to this agreement and may be used, disseminated or published, by any party, and any time." "The new draft language is excessively restrictive and potentially projects Canadian government control onto me and those I work for and with," Muenchow wrote. Muenchow said he is trying to negotiate with the Canadian government to change the language of the agreement. He declined to speak to CBC. Jeffrey Hutchings, a fisheries scientist at Dalhousie University, said Canadian federal scientists have been barred from speaking to the media unless their "media lines" have received ministerial approval. "But to have international scientists working on international projects express the concern that their freedom to express the results of their work might be hindered by policy implications or managerial or political concerns, is a first," he told As It Happens Thursday. "And what this will lead to, almost inevitably, is a situation where international scientists will be less likely to work with Canadian government scientists." Within Canada, he added, academic scientists might be less likely to work with government scientists. "That's a very bad thing for society," he said, because it's the government scientists who are most knowledgeable about the government policies and management programs that could be affected by findings made in the course of scientific research. Kevin Stringer, assistant deputy minister on ecosystems and ocean sciences at the Department of Fisheries and Oceans, said the reason the federal government has made the changes to its agreements with scientists in other countries is "to ensure that we're looking after intellectual property." When asked whether the policy was about "controlling the message," Stringer responded that the government has an objective "of getting independent science into the public domain."